As an offshore recruitment firm based in the Cayman Islands, CML has become the most trusted recruitment agency on the island, built on a perfect mix of experience, expertise and professionalism. 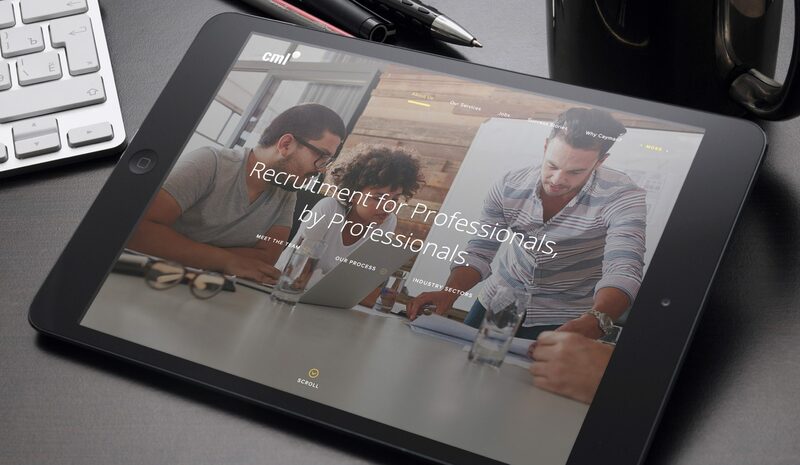 We were selected for the re-design and development for CML offshore recruitment, following a competitive pitch. Working with an international client could be tricky but we were determined to make it work and produce a stunning website, that would change the perception of the business. Our senior digital designer Andy Ingham, was lucky enough to fly out to the Cayman islands to work alongside the client in-house for a week. 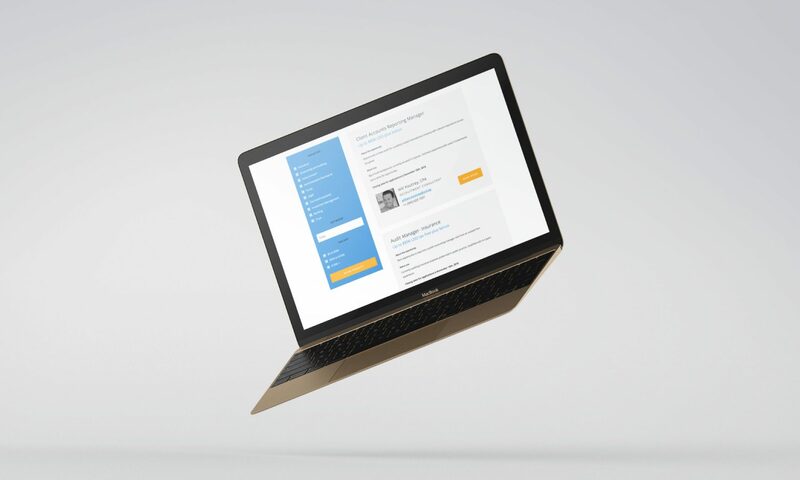 The guiding principle from the offset was collaboration, the knowledge that CML have in offshore recruitment needed to be taken in and then quickly translated into prototypes, to ensure the basis of the site was functioning the way it needed to. In a tight turnaround of a week, we managed to plan the site structure, wireframe all the templates and start the creative phase, oh and lose our suitcase… twice! The current CML website had some fairly major issues which needed addressing, poor aesthetics, an unresponsive design and a highly restrictive CMS were only a few. We simplified the navigation to include five simple items: About, Services, Jobs, Success Stories and Why Cayman? Selecting Success Stories or Why Cayman allows the user to discover content without feeling overwhelmed from information overload. We also simplified the process of browsing for a job by integrating filters that sort by keyword, industry and salary. Making the trip to Cayman was invaluable as we were able to fully understand the audience requirements, outlining the website content formed the basis of the site structure. One major issue recruiters had with potential candidates was first analysing whether they would be suited for a life in Cayman and whether relocating abroad for a new career was a viable option. 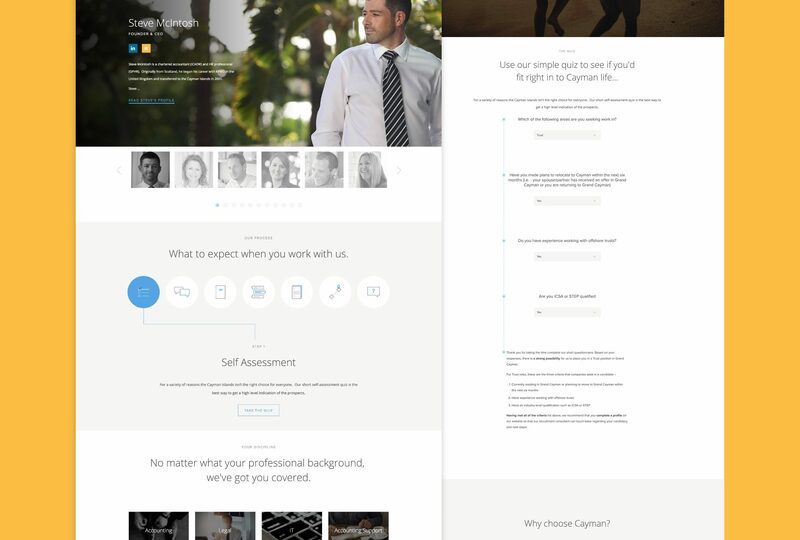 We implemented a ‘Is Cayman right for you?’ quiz, this enabled the recruiters to quickly examine data and see from experience whether a candidate was worth contacting, before potentially wasting time. This is a great example of implementing functionality that changes the way you do business for the better. Attracting and then recruiting employees to move for a new career overseas is a mammoth task, we needed to first attract visitors with stunning imagery of the island and really ‘sell’ the lifestyle and benefits of living there. After we got their attention, content in the user journey turned to the key questions of what a candidate would ask regarding relocating, immigration etc, so clearly displaying CML’s areas of expertise and services they offer to users was critical. To complement the fantastic photography & content, we enhanced the build with a load of elegant jquery effects and motion features. We also integrated the clients Bullhorn API into the CMS.